CEO Marissa Mayer pushes ahead with a tax-free spin-off of Yahoo's 15% stake in Alibaba, despite failing to get the go ahead from the tax man. Marissa Mayer clearly has a stubborn streak. Back in January, the Yahoo CEO set her mind on spinning off the firm’s 15.4% stake in e-commerce giant Alibaba - and by the looks of it neither hell, high water, the Chinese economic slowdown nor the American tax regime is going to stop her. The plan is to create a holding company for the Alibaba shares and transfer the stock in the new company tax-free to Yahoo shareholders, who’ve been grumbling at Mayer’s failure to revive the shrunken tech giant’s fortunes significantly since she took the helm three years ago. To make it tax-free under US law, Mayer wants to include its tiny Small Business Unit (accounting for roughly 1% of group revenues) in the new company, Aabaco (a play on Google's new parent company Alphabet Inc. perchance?). Yahoo then asked the Internal Revenue Service (the IRS, America’s equivalent of HMRC) to give it an informal nod on whether this would cut the mustard. They responded a few weeks ago with the tax accountant equivalent of a surly ‘no comment’. Undeterred, Yahoo announced in a regulatory filing last night that it’s going ahead with the plan anyway, hoping to complete later this year. The risks are high – if the IRS decides the spin-off is not exempt then shareholders could lose up to $9bn in taxes, from a stake that’s currently worth $22bn. Given that Alibaba’s share price has already halved since its November peak as a result of China’s slowdown, this isn’t exactly going to leave many happy campers among Yahoo’s investors. Sometimes, though, it’s riskier to do nothing. The US government has made noises about this kind of deal, raising the prospect that they might close what could be interpreted by the more cynical reader as a glaring loophole. Mayer figures that if Yahoo doesn’t spin-off the Alibaba stake now, then there’s no chance of escaping the tax. She could just sell it instead, of course. Yahoo already did that with half of its original Alibaba stake last year, after all. But who wants to sell low? Mayer appears to be betting that Alibaba’s share price will rebound and that it would thus be in shareholders’ interests to hold onto the stake, especially if they don’t have to pay any tax on the transfer. Either way, the outcome won’t exactly be pretty for what was once one of web 1.0’s leading lights. The faded firm is now less than 10% the size of its ‘rival’ Google, and its revenues are at best in a plateau. Its (rather brilliant) decision to invest in Alibaba back in 2005 had allowed it to bask in some of the rapidly-growing Chinese firm’s reflected glory. 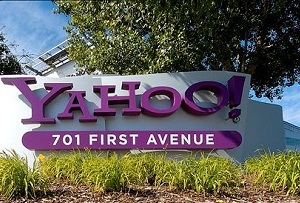 But once that’s gone, what does Yahoo have left? Unless Mayer can reverse the fortunes of the core business, no amount of clever spin-offs, stock sales or even share buybacks will appease shareholders in a tech firm that isn’t growing and yet still doesn’t pay a dividend.